Im a self confessed coffee addict. 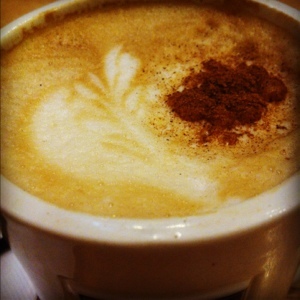 Whenever i see coffee, my adrenaline rushes and my tastebuds rant for a dose of caffeine. In normal days, a cup in the morning and late afternoon balances my mind in between pleasure and stay-at-home mommy life's pressures. Certainly, during mommy day offs, i treat myself well with a good coffee and private reading break. 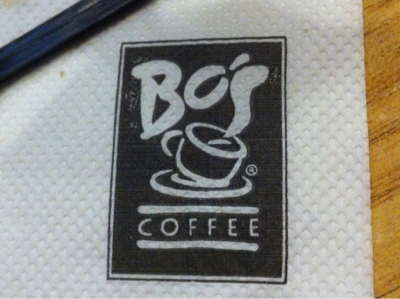 Bo's coffee is a sure perfect place if youre actually looking for the best tasting coffee, not overly crowded, relaxing couches and covers free fast wifi connection. 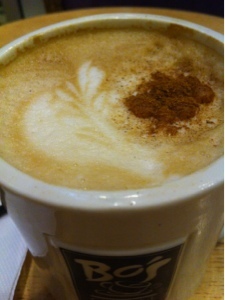 For only 99 bucks, you can spoil your caffeinated tastebuds with a mug of hot cappuccino. Theres something special here that keeps me coming back for more. 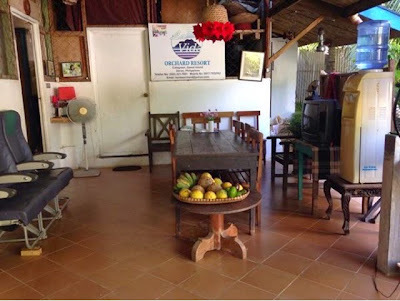 Can you imagine a cold coffee drink with Durian kick? The mouth watering carrot moist muffins as well. 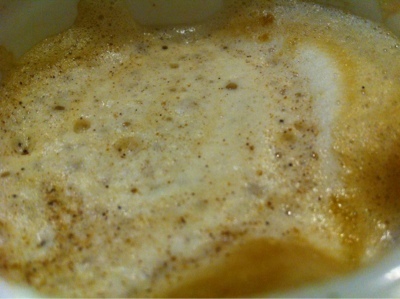 Have a glimpse on the bubbly dose of caffeine i had for a quick coffee break. 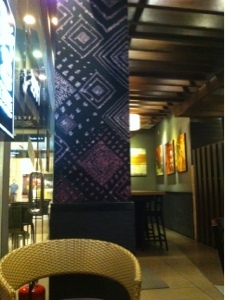 And how i loved the cozy ambience of Bo's in Ayala, Abreeza Mall Davao.